Saturday a'noon. I just remembered that we had a small gathering as a farewell party to a junior in our organization. Damn!!! I had almost forgotten. I have been making cards for many occasions and how could I not think about one for Praveen too. ( The party was for him.) He had completed his Masters in Engineering in flying colors was transferred to another site. I sat down to work. 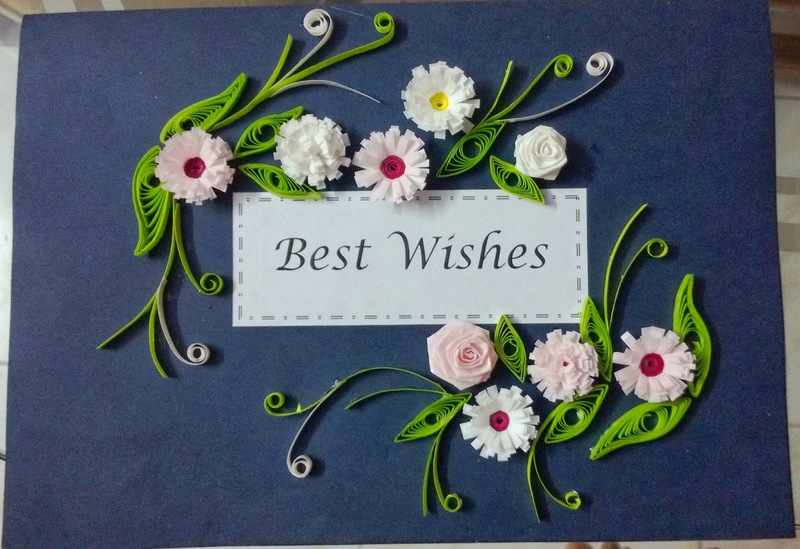 I had few flowers made for another project. I couldn't apply varnish properly but came up with a simple but elegant card.